Another quick update: Neofeud has it's first update that implements a bunch of fixes to makes for a smoother, better gaming experience! Silver Spook, is this an action adventure? Ana- there are a couple of scenes with some action, but it is basically just a timed point-and-click puzzle. These sections of the game are similar to parts of Gemini Rue (by Wadjet Eye Games). Having played this excellent game I can confirm that apart from one scene which was a little tricky & easier than in Gemini Rue (which an update I understand has made easier) there is a dearth of action scenes! There's probably no more than a couple of gentle timed events which are very doable even if you are lacking in reflexes! It's a wonderful point & click game set in the future with a lot of 'social message' relevant to current events & the way the world is. If you are a fan of the point & click style of the 'old classics' you may enjoy this game - if you're not sure there's a demo available! Last edited by chrissie; 10/19/17 12:06 PM. If you've been thinking about getting Neofeud, it is 34% off right now on Itch.io! Neofeud is now 25% off for the Halloween Steam Sale, if you’re more inclined to have Neofeud on Steam! Thanks for the news silverspook! Happy THanksgiving! Hey guys, if you have played and liked Neofeud, please consider voting for it for "Indie of the Year" on IndieDB! Thanks! Thanks, Ana! Two more days to vote, if anyone was still thinking about it. Also here's a recent review of Neofeud, and I wish I was fluent in Spanish so I could read what the reviewer is saying in their native language. But thank you, Google Translate! "Neofeud is an old-fashioned point-and-click, which really reminded me of Space Quest in setting and graphics. The story takes place in a hypothetical 2033, where artificial self-conscious intelligences are now reality. Self-awareness, however, has consequences, first of all the affirmation as an individual and, as such, with rights and desires. This involves a whole new slice of society trying to integrate into the already existing human one. War veterans, domestic workers, workers, each with a different level of consciousness, which determines their rights. Just one percentage point to finish at the same level as vacuum cleaners, while experiencing real emotions and sensations." "If you are not captured by the story of the protagonist, it will be the game world that will intrigue you and push you to explore each scene and dialogue from beginning to end." The reviewer also compared Neofeud with Neil Blomkamp and District 9, which is a high complement for me, since I consider D-9 as one of if not the greatest sci-fi films of the past few decades. NEOFEUD MADE IT TO THE TOP 100 INDIES OF THE YEAR! Thanks everyone for your votes and support! Neofeud is one of the top 3 point-and-click games, and can now use your vote again in the final round for ultimate indie of the year on IndieDB! So The Space Quest Historian is currently doing a playthrough of Neofeud. It was also featured on Funhaus, a pretty big (1.3 million subscriber) Youtube channel, by Rooster Teeth productions. That was pretty cool! And also, an endorsement from Wormwood Studios, maker of Primordia: "Neofeud is an interesting game, and @SilvrSpookGames is an even more interesting person." 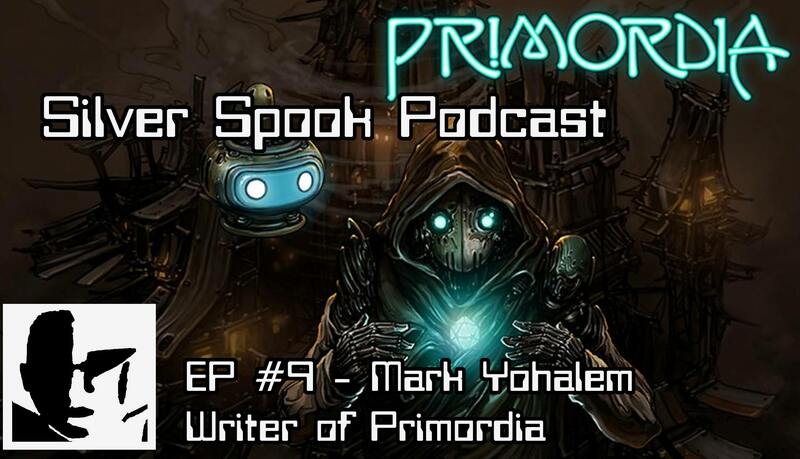 Hi guys, here is the latest podcast in which I talk to James Spanos, game designer on Primordia, The Cat Lady, Downfall, Until I have you, about various adventure games and other genres, including Neofeud.